Avocados add flair to salads and are an essential buy from the produce section for those who prepare guacamole and Tex-Mex cuisine. If you’re a fan of the buttery richness of avocados, you won’t be surprised that they’re sometimes recommended for people who need to put on weight. But even if you're not trying to put on pounds, eating avocados can be good for your health, as long as you don’t overdo it. Avocados grow in warmer climates and actually are fruits, not vegetables. Besides being high in monounsaturated fat, avocados also contain vitamin C, thiamin, riboflavin, folate, potassium and beta-carotene, which your body converts to vitamin A. One serving -- 30 grams -- has 5 grams of fat and 50 calories. If you have some avocados you wish would ripen faster, store them in a paper bag for two to four days at room temperature. According to the Harvard School of Public Health, weight loss is possible on both a higher-fat diet and a lower-fat diet. Including some fat in your daily diet is essential to your health. The simple key to weight loss is to take in fewer total calories than you burn off through activity. All fats have nine calories per gram, while most proteins and carbohydrates provide only about half as many calories per gram. So compared to other foods, fats should be limited, and avocados aren’t a food to fill up on at every meal if you’re trying to watch your weight. But eating the proper serving size a few times a week is a heart-healthy thing to do. The nine calories in fats are not equal. Monounsaturated fats, like the kind in avocados, and polyunsaturated fats are better for you than saturated fats, which mostly come from animal sources. In fact, eating saturated fat is a major risk factor for heart disease. 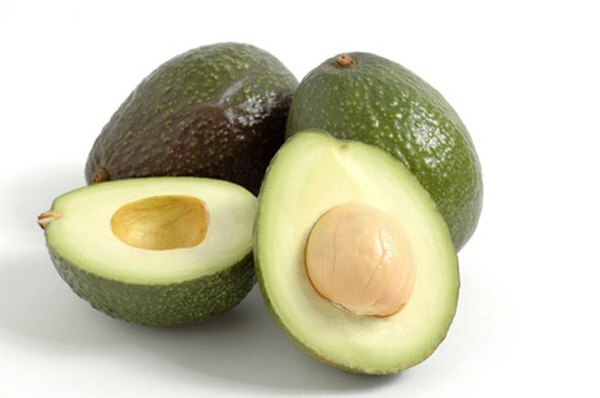 The fat in avocados helps reduce LDL, or "bad," cholesterol, so protect yourself against heart disease by replacing saturated fats in your diet with unsaturated fats. Prepare an avocado dip with reduced-fat sour cream and serve it with baked tortilla chips or vegetable slices instead of fried chips. Decrease the fat in guacamole -- and add nutrients and texture -- by preparing it with lots of chunky chopped onions and tomatoes. Thin slices of avocado add another level of flavor to a tuna salad or sliced turkey served on whole-grain bread. Academy of Nutrition and Dietetics: Do Avocados Have a Lot of Fat? Is Real Butter Better for You Than Margarine?